Hello and welcome everyone! I’m so happy to see you in class this week! I’m so excited for today’s word and I’m excited to introduce you to a new feature! 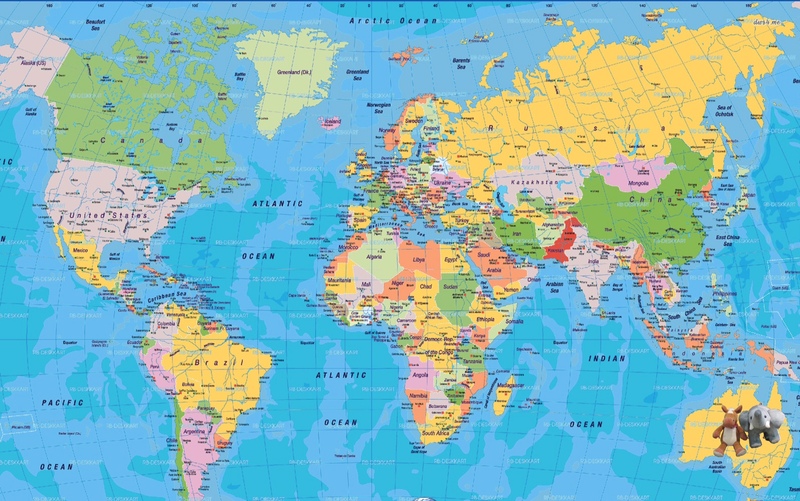 Each week I’ll be posting a map and show you where Ellie and Edmond will be exploring! Let’s get started learning and let’s find out where E&E will be! 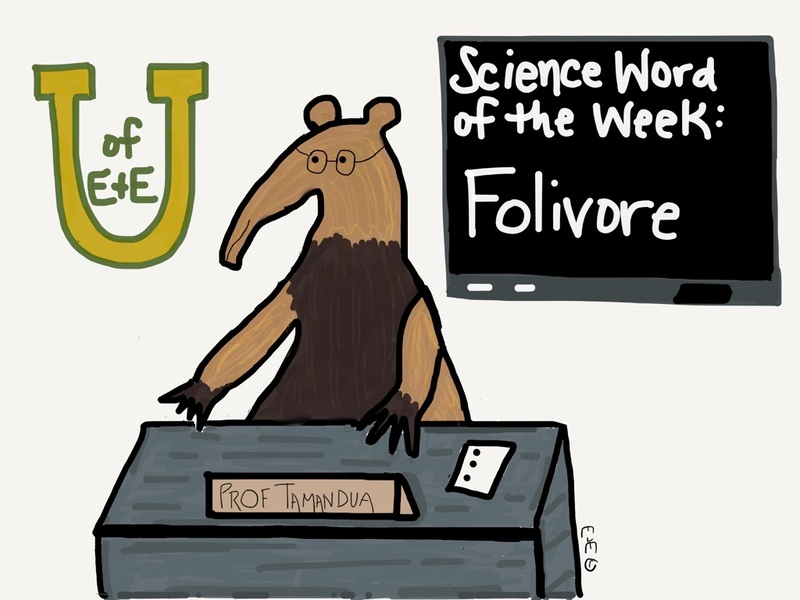 Today’s word is Folivore: a folivore is an animal that eats leaves exclusively. 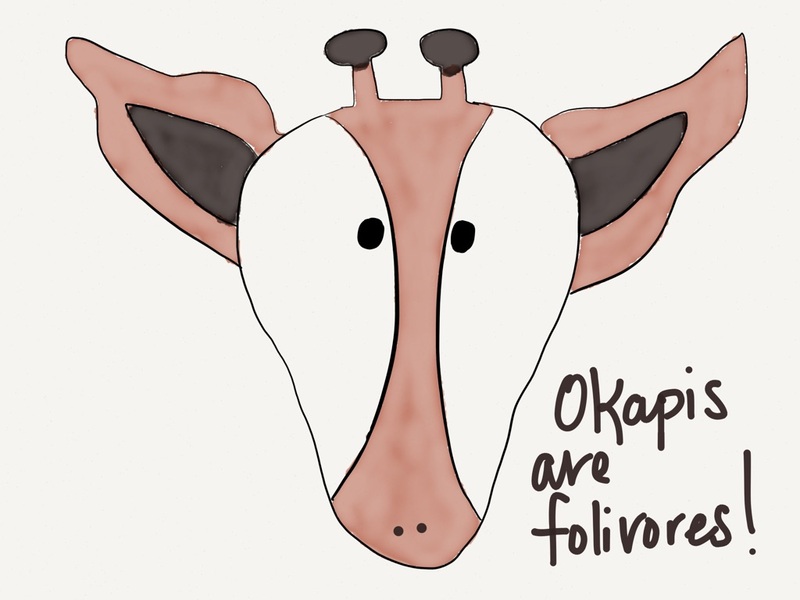 Some examples of folivores are caterpillars, koalas, sloths and okapis. Ellie and Edmond are heading to Australia and New Zealand this week! Who’s excited to see who they’ll meet? Folivores are lucky. I try to eat leaves a lot. Mom says, “Leave it.” My friend Lyla eats sticks. I think she’s a Stickavore. Hehehe! We know a doggie who likes to eat sticks! Might be tasty- elephants eat bark!